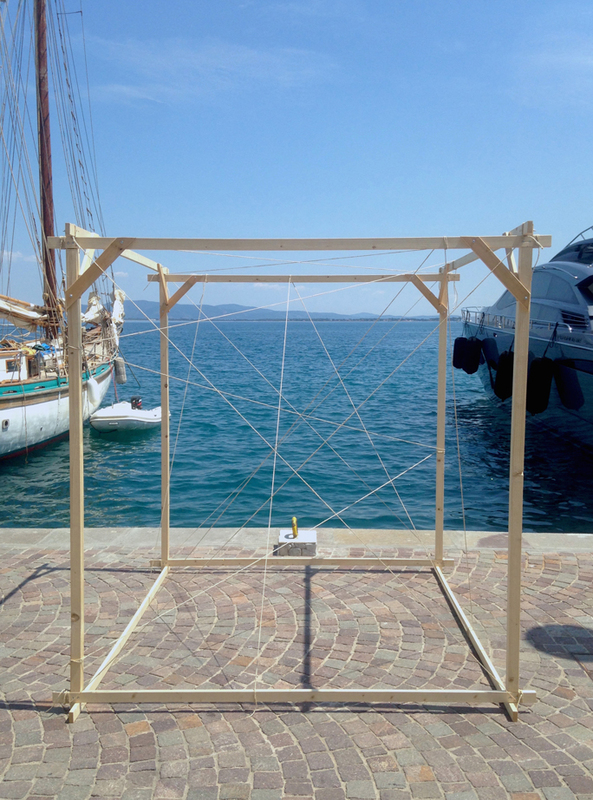 The Broken Aquarium is a social sculpture and a public intervention made in collaboration with Suzanne Bernhardt at Porto Santo Stefano, comune di Monte Argentario, Tuscany, Italia, 2018. 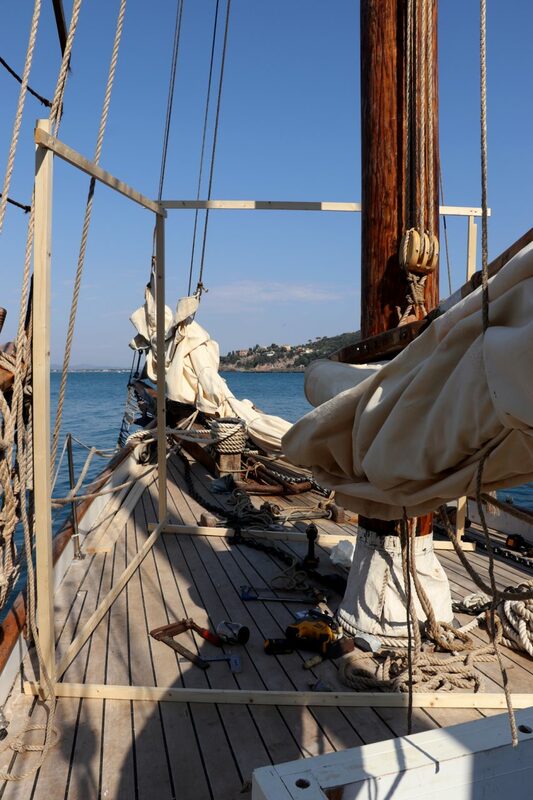 The sculpture was made during our residency at “The Blue Dream Project” on board the two-mast schooner Mahayana. The Blue Dream Project has for mission to create more awareness about plastics pollution in the ocean and to minimize our use of them in a daily basis. The sculpture was thus designed with a minimalist and simple material, wood, hemp and galvanized screws. The sculpture attempts to create a void in the ocean. The broken aquarium states for the tragic condition of oceans all over the world. The idea was to bring the audience to experience the gymnastic we all need in our daily life to not use plastics. 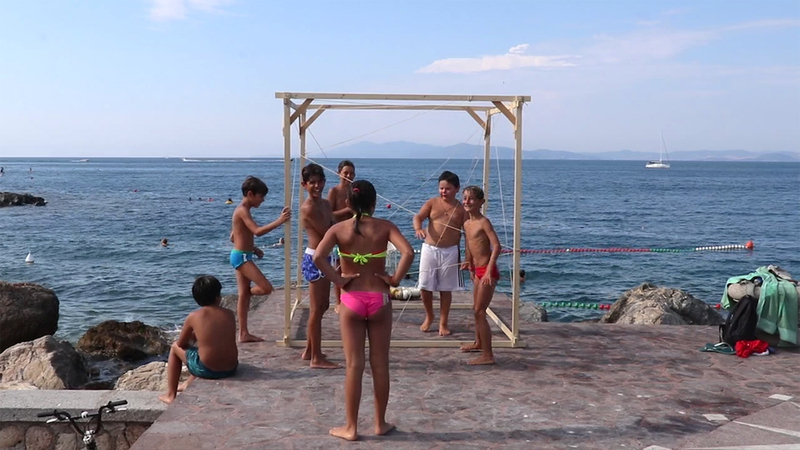 We placed the sculpture in a tiny local public swimming spot, it didn’t take long before the kids took over.